I've decided to make a thread for all of the announcements for our gamenights, such as the dates, in order to prevent creating a new one for every gamenight - this centralises the information and helps reduce the time taken to make announcements. Gamenights are hosted on discord which makes it easier to find other players and organise games, as well as communicate with others using voice channels. Varioius announcements for gamenights, giveaways and tournaments are made here to help notify you of any upcoming events as well as giving reminders before these events begin. The aim of the gamenights is to help bring players together and reduce waiting times for games, allowing us to spend more time having fun and playing than sitting around waiting for games. We hope you join us - the next gamenight will be today at 4pm UTC! Next gamenight is Saturday 14th July, 4pm UTC. 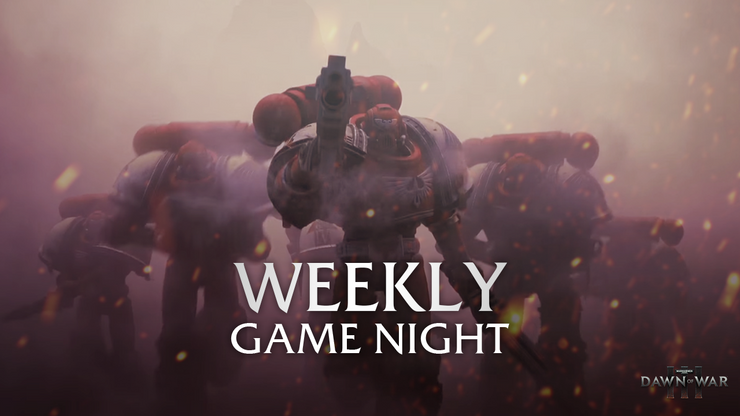 Tomorrow's gamenight will be a tournament! The tournament will start at 5:30pm UTC, and matches will be games of 1v1 Power Core. If you want to scratch your comptetive itch, feel free to join us! The next gamenight will be on Sunday 22nd July at 4pm UTC! The next gamenight will be on Saturday 28th July at 4pm UTC! The next gamenight will be on Sunday the 5th of August at 4pm UTC! The next gamenight will be on Sunday the 19th August at 4pm UTC! Sorry that I didn't post an announcement for last week's gamenight, for some reason I was unable to make posts. The next gamenight will be on Saturday the 25th at 4pm UTC! The next gamenight will be on Sunday the 2nd of September at 4pm UTC! Sorry that there was no announcement last week, I was on holiday! The next gamenight will be on Saturday the 15th of September at 4pm UTC! The next gamenight will be on Sunday the 23rd September at 4:30pm UTC! The next gamenight is about to start! The next gamenight will be on Saturday the 13th October at 4pm UTC! The next gamenight will be on Sunday the 21st October at 4pm UTC! The next gamenight will be on Saturday the 27th October at 4pm UTC! The next gamenight will be starting in 15 minutes! The next gamenight will be on Saturday the 10th November at 5pm UTC! The next gamenight will be on Sunday the 18th November at 5pm UTC! The next gamenight will be on Saturday the 24th November at 5pm UTC! The next gamenight will be on Sunday the 2nd December at 5pm UTC! The next gamenight will be on Sunday the 16th December at 5pm UTC! The next gamenight will be on Saturday the 22nd December at 5pm UTC! The next gamenight will be on Sunday the 30th December at 5pm UTC! The next gamenight will be on Sunday the 13th December at 5pm UTC! The next gamenight will be on Saturday the 19th January at 5pm UTC! The next gamenight will be on Sunday the 27th January at 5pm UTC! The next gamenight will be on Sunday the 3rd January at 5pm UTC!